Children love to play with toys, whether it’s the latest trending action figure or an empty plastic container; they want to engage, imagine and explore. Once you combine play with education, you’ve found the perfect platform for learning. Let’s take a look at some of the reasons why Educational Toys are so powerful. The toys that we select for our children can really help with their development. Engaging with a new toy will bring a set of challenges to the experience. Different materials will require different skills and choosing toys that suit their age group will help them master these skills. Many toys can be educational, but the ability to learn while playing depends on their engagement with the toy. A variety of skills can be honed and might differ between playing independently or in a group setting. Speech, Language and Hearing Therapist, Annelize du Plessis explains: “Children learn as they play. For them, play equals serious learning. Never underestimate the importance of toys that challenges a child to explore, imagine, think, talk, make choices and solve problems”. Can the toy be played with independently? 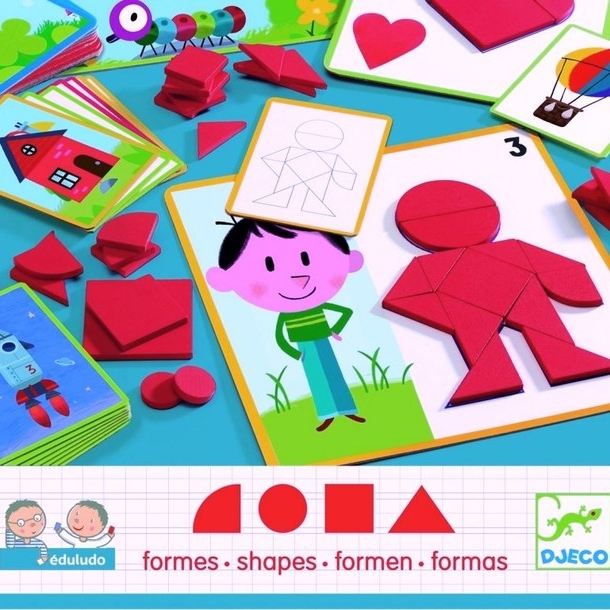 This educational game with shapes features a sketch card that is provided to draw the outlines of a picture. The aim is to complete the shape of the same picture by choosing wooden pieces shaped to fit the various contours. This game is designed for children aged 3 and up. It will teach your kid to distinguish between different kinds of textures. 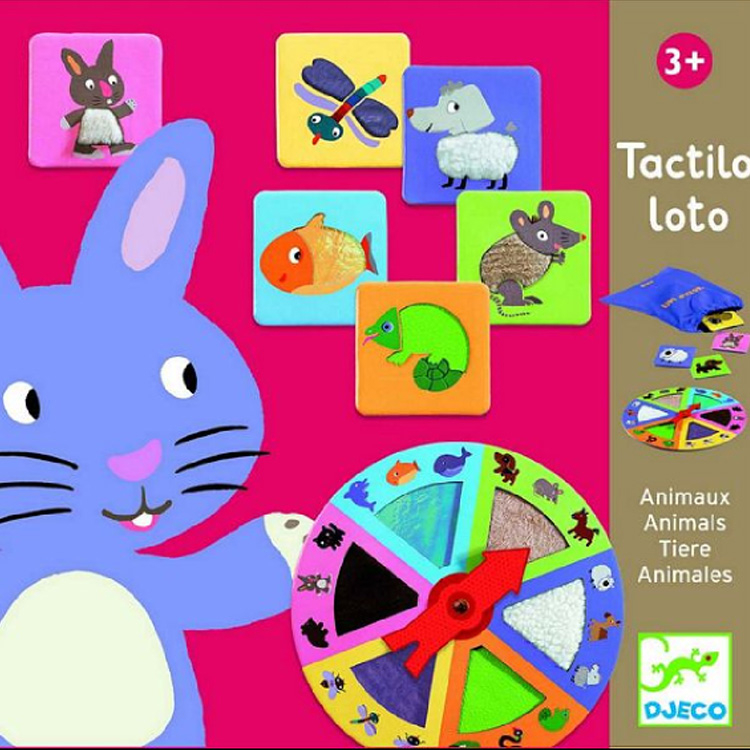 Tactilo Loto Animals consist of a wheel, a bag and 18 cards. This game is ideal for developing cooperation between a group of children. It can be played with by 2-4 players and is aimed at kids aged 5-8. 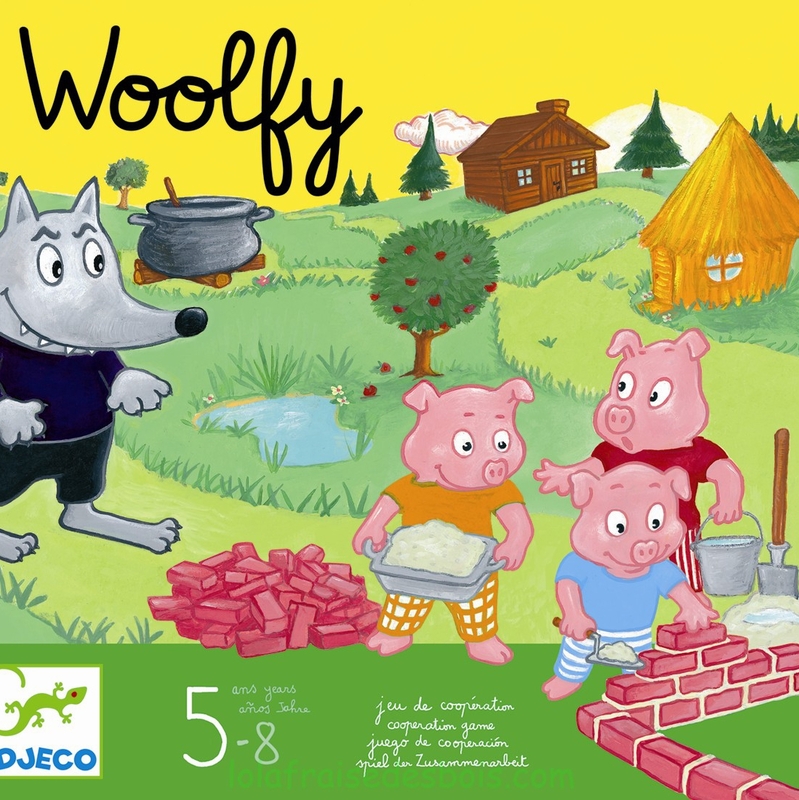 The Woolfy Game expects children to cooperate with each other while building a brick house that will keep the three little pigs safe before the wolf comes to catch them and put them in the cooking pot.